Accurate Painting & Staining, Inc. Custom Painting & Decorating, Inc.
Our goal is to connect people with the best local experts. 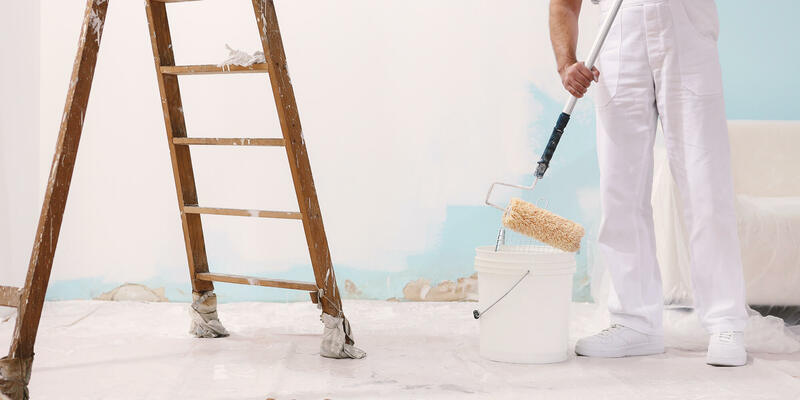 We scored painters on more than 25 variables across five categories, and analysed the results to give you a hand-picked list of the best painters in Reno, NV. Accurate Painting & Staining, Inc. has served the Truckee and Tahoe, CA areas for almost 30 years. The full-service painting contractor specializes in eco-friendly painting and staining, wood restoration and refinishing, color consulting, sheetrock repair, wallpaper removal, carpentry repair and woodpecker damage repair, deck cleaning, staining, and sealing, and driveway sealing and garage floor epoxy. They are an eco-friendly painting company and use low-or-no-VOC, green products that are odor free and retain their color over time. The team at Accurate considers many details of the job at hand including each home’s design and light, wall glazing and texture, and other questions of construction. Located in Truckee, CA, Burgess-Martin, Inc. has serviced the Truckee area for over 10 years. They are experienced in working with a variety of wall textures and colors. They are meticulous with cleanliness and ensure no sloppy work. They don’t use products that contain toxic chemicals and use eco-friendly materials. Services include wood restoration, exterior staining and painting, and interior painting. They can also paint and stain decks and fences. Wood restoration techniques include removing stains and restoring natural color to weathered wood. They also provide snow removal services and provide seasonal contracts for residential driveways in the Glenshire subdivision. They are available 24/7 in snowy conditions to provide service during emergencies. Based in Reno, Custom Painting & Decorating, Inc. fulfills painting needs. Operating for nearly 30 years, the painting contractor takes on jobs big and small, from one room improvements to high-rise casinos. Along with painting, they also specialize in wall coverings, floor coatings, acid stain concrete, caulk panel joints, specialty roof coatings, asphalt coatings, line striping, fire retardant coatings, and more. Diversified Painting works with customers in the Sparks area with nearly 25 years of experience behind them. They specialize in decorative finishes and production type painting and have an impressive knowledge of primer, paints, sealants, and coatings. Because of their high level of customer satisfaction, they enjoy business from repeat clients and referrals. Located in Reno, Fasani Painting is one of the oldest painting contractors in the state. With 100 years in the painting business, Fasani handles all jobs with experience and efficiency. They specialize in commercial and residential painting, paperhanging, sandblasting, and other maintenance. They also remove graffiti and re-paint the surface within 24 hours of graffiti notification. Kelly Brothers Painting, Inc. serves Truckee and Lake Tahoe. Experts in painting and staining, the team at Kelly Brothers also installs and maintains solar panels, and works with construction and drywall. They provide free estimates for potential clients. They support their community through providing jobs and volunteering their services. With over 25 years experience, M.P. Garcia Painting serves Northern Nevada for their painting needs. The team at M.P. Garcia specializes in residential interiors and exteriors, commercial properties, elastomeric coatings, eco-friendly paints, faux finishes, stains and lacquers, and tenant improvements. They are licensed with a bid limit of $100,000. Mountain Lake Painting works with residential and commercial construction in the Northern Sierras. Located in Truckee, the company provides a number of services including custom work and new construction. Owner Chendo Hernandez has over 30 years of experience in the painting field and is a graduate of Cal-State Hayward. The other painters on staff have a minimum of five years experience. The staff can help with deck maintenance, power washing, and staining in addition to exterior and interior painting. Mountain Lake offers free estimates and is licensed and insured. Reno native Neil Medina owns and operates Neil Medina’s NCM Painting Incorporated. They have been in business many years, and know the area’s weather and styles. To gain a full understanding of the job at hand, an employee of NCM meets with customers and then prepares and presents a work proposal with a breakdown of tasks and a cost estimate. Upon acceptance of the proposal, the experts get to work using Sherwin-Williams paints. NCM serves commercial, industrial, and residential spaces. They can also work on deck staining and painting, and drywall installations, repair, and maintenance. Past projects include work at commercial properties like Courtyard Inn at Marriot, new construction, and new paint for exteriors of existing structures. They are a member of the Better Business Bureau and the Painting and Decorating Contractors of America. Serving Northern Nevada since 1991, Pat Hickey Painting provides painting services. Owner Pat Hickey is a fourth-generation Nevada resident and has worked with thousands of Nevada home and business owners. Residential painting entails taking time to do prep work, power washing surfaces to help new paint adhere properly, caulking, puttying, re-nailing, and spot-priming. The staff can work with all types of paints and colors and has accounts with the major paint suppliers in Northern Nevada, such as Kelly-Moore, Sherwin-Williams, and Pratt Lambert. The painting contractor provides new painting and re-painting, as well as staining. Customers receive a free estimate before beginning on their project. A Reno-based business, Pro-Touch Painting has worked with industrial, commercial, and residential customers since 1999. Owner Joe Barkowski has more than 25 years of experience in the painting business, and his company provides free consultations and works with clients' schedules to get projects completed on time and budget. Pro-Touch Painting works with exteriors and interiors, new construction and restoration, and provides power washings and EPOXY concrete finishes. A Reno painting contractor, SCK Painting and Drywall has served local communities since 1992. The team provides sidewall work, drywall and stucco repair, and water damage repair along with painting services. These include stucco, warehouse, floor coat and concrete stain, drywall hang, tape, and textures, and metal and railing paint. The skilled painters can also paint carious textures, like popcorn texture, repair water damage, and remove wallpaper. They will work on any size job. If customers refer family or a friend, they will recive 3% off upcoming projects. Sierra Painting, Inc. is a painting contractor located in Reno. Since 1971, the business has provided painting services for commercial, industrial, and residential properties. Focusing on the interior and exterior, Sierra Painting specializes in waterproofing, houses in subdivisions, new warehouses and housing, and office painting. Experienced painters work with customers on custom and general jobs. Tamara’s Painting Company serves Reno and the surrounding areas. The team at Tamara’s provides interior and exterior painting services and works on residential, commercial, and industrial properties. Their professionally trained painters are well versed in various techniques of painting. Their paint materials are high-quality and offer many choices for customers. The Painter is a Reno-based company that has served Reno since 1987. A family owned and operated business, The Painter serves residential and commercial properties in interior and exterior painting, staining and lacquering, wallpaper removal, texturing and drywall repair. Some of their past custom jobs include archways, staircases, kitchens, garages, and doors. They are licensed, bonded, and certified and offer services at affordable prices. The qualified staff are happy to help select the right colors and paint type for your project. Serving the Sparks, NV area, Vision and Design Painting has over 45 years of combined experience. The licensed, insured, and bonded company is lead-safe certified for RRP work and testing and are environmentally safe. They provide a one-year warranty on workmanship and give free estimates. They specialize in home, commercial and light industrial painting, and also provide staining and woodwork expertise.